Making a small apartment feel like home is all about those personal touches you collect over time. Send your friends a vibrant bouquet that is sure to make a lasting impression. 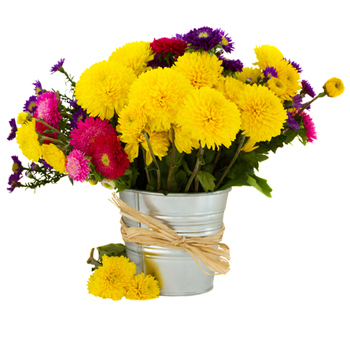 Your recipient will receive an eye-catching arrangement of 7 yellow Chrysanthemums, and other seasonal flowers.